Second-Language Writing addresses key issues for instructors working with multilingual writers in first-year composition. Framed with insightful introductory material, this sourcebook provides both theoretical context and practical resources for designing courses, negotiating differences among students, and responding to and assessing second-language writing. 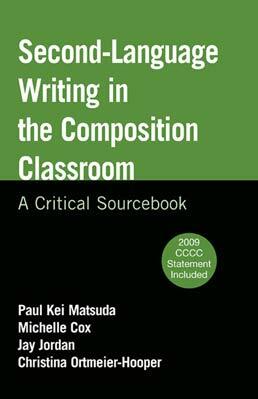 This edition includes the 2009 update of the CCCC position statement on second language writing and writers. 12. Should We Invite Students to Write in Home Dialects or Languages? Complicating the Yes/No Debate. 21. Error Feedback in L2 Writing Classes: How Explicit Does it Need to Be? 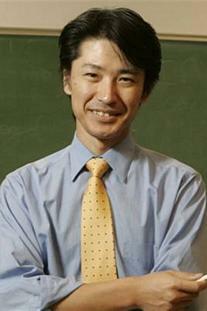 Paul Kei Matsuda is Associate Professor of English at Arizona State University. Matsuda started his career in teaching writing as a peer tutor and has since taught a wide variety of writing courses—first-year writing, first-year writing for multilingual writers, technical writing, persuasive writing, creative nonfiction, persuasive writing, and writing for graduate students. He has also designed and taught cross-cultural sections of first-year writing, which systematically integrated first- and second-language writers to raise their linguistic and cultural awareness while helping them develop advanced literacy. He has directed writing programs at the University of New Hampshire and Arizona State University, and has conducted numerous workshops for writing teachers throughout the United States and in various parts of the world. Cofounding chair of the Symposium on Second Language Writing and the editor of Parlor Press Series on Second Language Writing, Matsuda has edited numerous books and journal special issues and has published widely on issues related to language differences in the writing classroom. Access his Web site at http://matsuda.jslw.org/. Michelle Cox is an assistant professor of English at Bridgewater State College in Massachusetts, where she teaches first-year composition courses dedicated to second-language writers, as well as a range of undergraduate and graduate writing workshops and seminars on writing theory, research, and pedagogy. She directs the college’s Writing Across the Curriculum program, is a member of the college’s ESL Advisory Board, and a member of the CCCC Committee on Second Language Writing. In addition to Second-Language Writing in the Composition Classroom (Bedford/St. Martin’s, 2006), she coedited Reinventing Identities in Second Language Writing (NCTE, 2010) with Jay Jordan, Christina Ortmeier-Hooper, and Gwen Gray Schwartz. She organized the Northeast Writing Across the Curriculum Consortium (NEWACC), a regional organization for WAC directors. Her research interests include second-language writing, workplace writing, and rhetorical genre theory. Jay Jordan is Assistant Professor of English in the University Writing Program at the University of Utah, where he coordinates first-year composition. His research interests include second language writing, English as an international language, rhetoric and design, and histories of rhetoric. He teaches undergraduate and graduate courses on writing, writing pedagogy, and rhetorical theory and history. He has published in CCC, College English, and Rhetoric Review, and his work has appeared in several edited collections. He is coeditor of Second Language Writing in the Composition Classroom: A Critical Sourcebook (Bedford/St. Martin’s) and of Reinventing Identities in Second Language Writing (NCTE). He is currently finishing a book manuscript on how second language writers negotiate curricula in typical US composition courses. He is active in CCCC and NCTE. 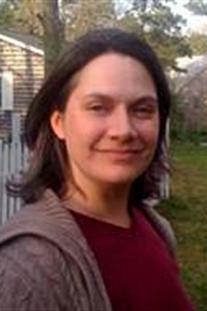 Christina Ortmeier-Hooper is a doctoral candidate in Composition Studies at the University of New Hampshire, where she teaches first-year composition, ESL, advanced composition, technical writing, and teacher education courses. Her research interests include second-language writing, teacher education, and immigrant literacy. She has also published in TESOL Journal and has presented her work at CCCC, NCTE, and TESOL. Her dissertation follows the experiences of five U.S. resident second-language writers in public high schools. The study explores students’ complex responses to their identities as second-language writers and the social influences that play a role in their approaches to academic writing.